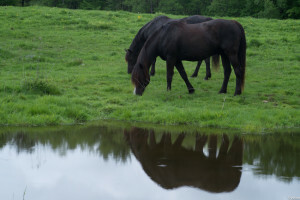 June has come to Road’s End Farm, bringing sunny skies, a pleasant breeze, and a new supply of lush grass for the horses. The herd was moved toWheelocks yesterday, and the horses cantered across the road in excitement as the replenished fields came into view. Back at the barn, brushes, buckets, and bridles are being organized and dusted off in preparation for the arrival of campers. Other buildings like the recreation room and the arts and crafts center are being swept out and spruced up in order to provide optimal activity options to the girls who are coming for the summer of 2017. As far as personnel, the counselors are slowly arriving, preparing to learn about each horse along with the ins and outs of life here on the farm. benefits. Jack has been befriending an Icelandic horse, Prímus, who will be here for the summer. As the weather warms up, activity increases and people flock to the premises to contribute to the farm and enjoy the herd. 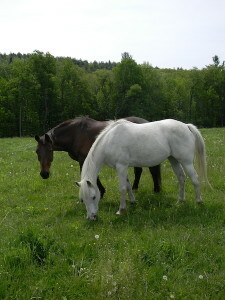 The upcoming three months are what we look forward to as a summer horseback-riding camp. We can’t wait to welcome campers new and old this summer, and share the farm with them again!